To find out more about BTO's team, please see below. After completing her traineeship with BTO, Siobhan qualified as a Solicitor in the firm’s Commercial Property Team with an emphasis on banking and finance, acting for Banks in lending transactions and for commercial clients in refinancing deals. She is also involved with a variety of property matters including sales and acquisitions, providing advice to both landlords and tenants in relation to commercial leases and lease management and advising clients in the leisure and hospitality sector on commercial property and licensing matters. 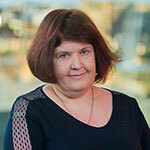 Judith is a Paralegal within the Tax Planning and Trusts Department having joined BTO in 2003. She specialises in trust work and graduated from Robert Gordon University in 1999. 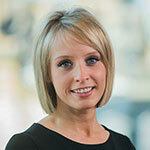 Angela Allison is a paralegal within BTO’s commercial department. Angela joined us in 2010. She brings with her many years of experience in dealing with purchases and sales of all types of residential and commercial property; security work for banks and leases for landlords and tenants. 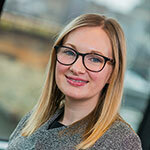 Amy Anderson is a senior solicitor in BTO’s Health & Safety and Regulatory Defence Team. She is based in our Glasgow office. Before joining BTO, Amy completed a varied traineeship with a global full service law firm which included a six month secondment to the Scottish Government Litigation Division. After completing her traineeship, Amy worked as a Solicitor in the Litigation Team of a Scottish law firm, representing clients in a variety of disputes ranging from commercial contract disputes to medical negligence actions and family matters. Amy's previous varied court experience brings invaluable advocacy skills to the team at BTO. Katie is a Solicitor in BTO’s Catastrophic Injury Team. She is based in our Glasgow office. Before joining BTO, Katie completed a traineeship with a national litigation firm specialising in defending claims for insurance clients. After completing her traineeship, Katie worked as a Solicitor and continued to represent exclusively insurance clients, dealing with a wide variety of claims including road traffic accidents, employers’ liability and public liability claims. 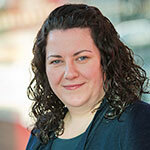 Katie has a great deal of court experience conducting proofs and opposed motion hearings on behalf of clients in the Sheriff Court, including successfully arguing that sanction for counsel should not be granted in an employers’ liability case. 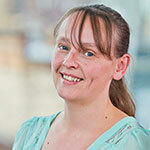 Lesley is a Paralegal within BTO’s Residential Department. She has many years of experience in dealing with all types of Residential Property, Plots Sales and Security Work for Banks. Victoria is accredited by The Law Society of Scotland as a specialist in Professional Negligence Law. In her twelve years practising in professional indemnity litigation, she has defended a wide range of professionals, including solicitors, accountants, IFAs, architects, engineers and surveyors. She has a particular focus on disputes involving legal professionals and has advised on the full spectrum of claims including those stemming from corporate and banking transactions, conveyancing and property transactions, family law matters, private client matters, litigation, time bar and fraud. Victoria litigates regularly in the Sheriff Courts and the Court of Session where she has particular experience of managing complex Commercial Court actions. Although Victoria is a robust litigator, she is always mindful of the commercial realities of dispute resolution. Victoria strives to identify alternative and commercial routes to resolving disputes and is experienced in other forms of ADR such as mediation. Victoria is also experienced in advising professionals who are subject to disciplinary proceedings, defending complaints before the SLCC, the Law Society of Scotland, and ICAS. Alistair is an Associate within BTO’s Insurance litigation team. Since qualifying in 2008, he has acted in personal injury actions, for 4 years as a Pursuer’s agent and for the last six years, he has specialised in the defence of personal injury actions, including employer’s liability, occupier’s liability, public liability and motor claims. He is experienced in dealing with claims arising from occupational stress. 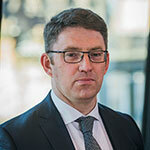 In addition to his extensive experience in relation to all aspects of Personal Injury work, including the Defence of claims raised at the Court of Session and Sheriff Court, he is also experienced in dealing with claims involving contractual disputes. Alistair is also a Notary Public. Grant is a claims handler in our Insurance litigation department. He is experienced in defending motor claims, in particular motor damage and credit hire claims raised at the Sheriff Court. Prior to working at BTO, Grant worked in the litigation industry and is able to use that experience to assist his insurance clients with matters at all stages pre- and post-litigation.